Treasure Island is a name that is in the mind of many book readers. Several stories are on the market that speaks about this island. But this time, it is not about the sailing of a one-legged man with the crew. 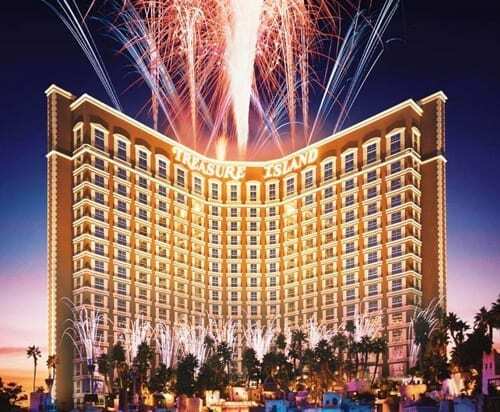 It is about Treasure Island Hotel and Casino. This casino opens its operations in 1993. Since then, nothing much is taking place about the renovation. It is in 2002 when the latest renovation is complete. The facility is usually full. Travelers and locals come here in large numbers. Because of this, the facility has much wear and tear signs. They are everywhere right on the walls and the floors. Every activity in the resort is similar to others in the Strip. The primary focus of the business here is on the casino. The casino hall is usually smoky. But players here seem not to care. They contend with the smoke. After all, the operator is also lenient. As for the players, they are here to play games. There is a huge treasure map on the floor of the lobby. What is more, you are likely to see many ornaments hanging from the ceiling. These are part of the ‘treasures’ in case you don’t know. Scriptures of shipwrecks are all over the walls. These are simple reminders of the stories we share in the opening paragraph. Because of the low hotel rates as well as on-site, many people come here. The facility attracts visitors from all parts of the world. From the U.S. alone, people from all states come to Treasure Island Hotel. Those who attend include business travelers, families and couples of all ages. The place is usually full. Rooms are full most of the time. Only those who make early booking get the first chance. The hotel is at the north end of the Strip. Also, this is the ideal place to walk or drive to other attractions in the Strip. It is an only five-minute walk to the Fashion Mall that is across the street. From here, you will be able to purchase pretty much anything. Mob and Neon Museum are within proximity. You only need a few minutes to drive there. Possibly, it will take you 10 minutes. Pretty much everything you need is in the vicinity. For example, there are ATMs. Above all, this means you will not run short of money to place your favorite game. Besides, there is a pharmacy. Buying drugs over the counter is not a good thing. But there are those who are under medication. They already have a doctor prescription. So, you can take your medicine. Inside the rooms, there is Wi-Fi. What is interesting is that the rooms at Treasure Island Hotel and Casino have fridges. You can put your drinks here as you watch cable TV. You will not feel the scorching heat at night thanks to the air conditions.